The excitement for this series keeps building so here are the latest Kamen Rider Build scans that was taken from the latest issue of Televi Magazine featuring Kamen Rider Cross-Z Charge and Kamen Rider Grease! 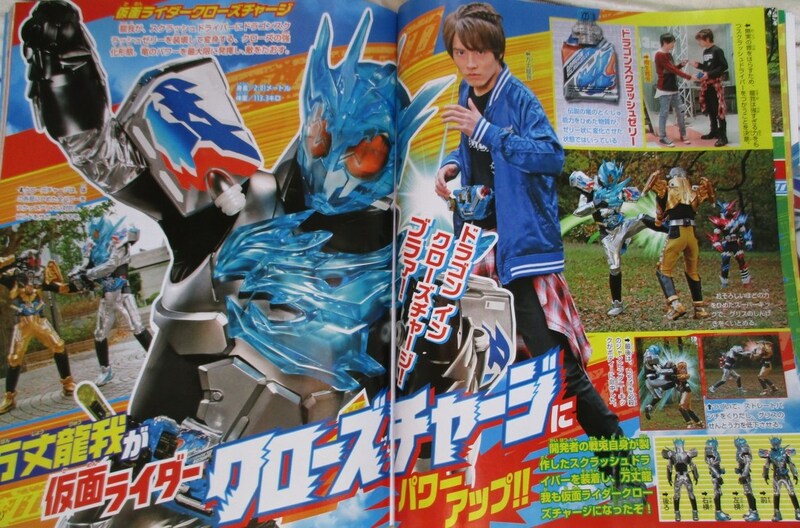 The threat of the evil organization Faust and their army of SMASH smash monsters are growing more powerful at the moment so to top this one up, Sento creates a new driver that will double Ryuga's powers: the Sclash Driver! 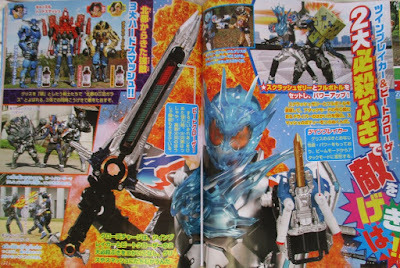 Using this and the Dragon Sclash Jelly, Ryuga transform into Kamen Rider Cross-Z Charge and he is armed with the Twin Breaker! Lastly, a new challenger enters the battle and he is from Hokuto! 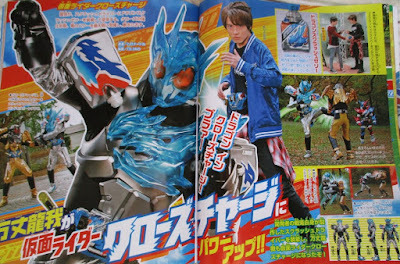 He is called Kamen Rider Grease and his real name is Kazumi Sawatari. 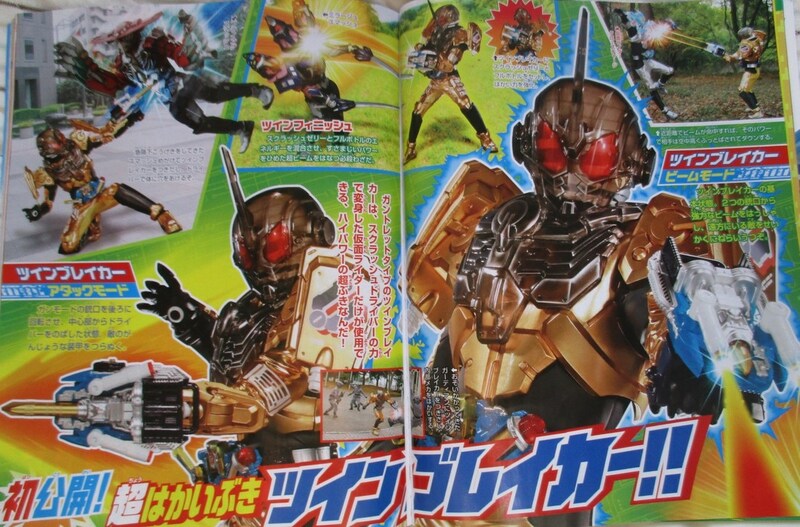 He also uses an Sclash Driver and the Robot Sclash Jelly to transform into Kamen Rider Grease and is also armed with the Twin Breaker! Just what is the man's agenda? Is Faust even still a thing? I assumed it was pretty much dismantled save for Stalk and that the threat was now purely Hokuto's government. 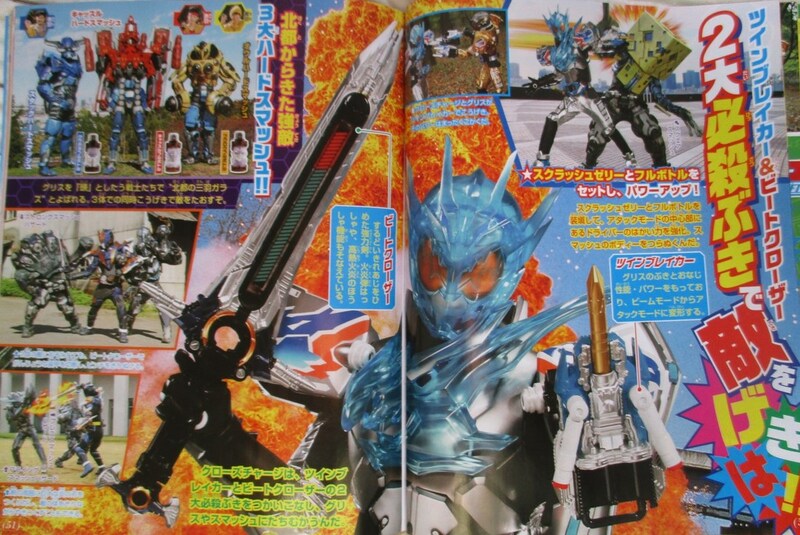 I'm really enjoying Build thus far. Lots of fun characters, nice suit designs, and a fun premise. 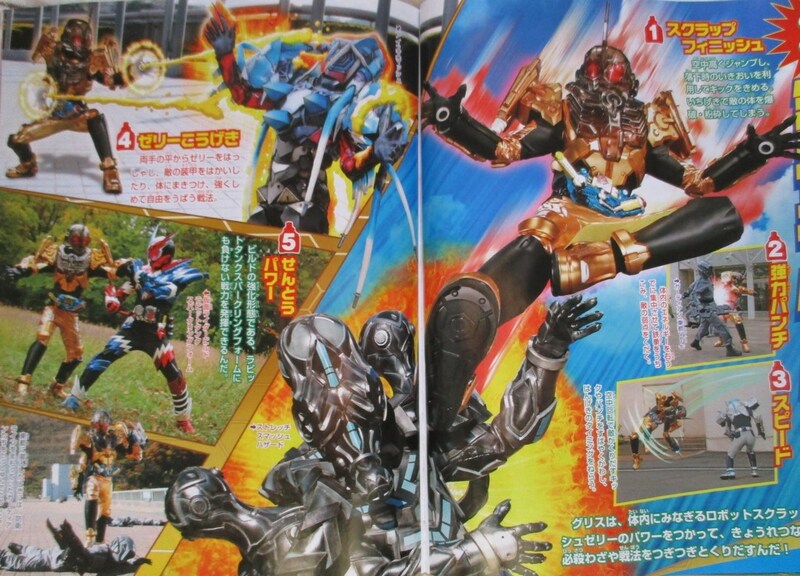 That said I do hope we eventually get a Rider from the third country (Seito?) that uses a different type of Driver, even if only because I feel like that would be neat to see. As for above post, maybe you should take a break. You may just be burnt out. Happens to all of us sometimes. boring???? 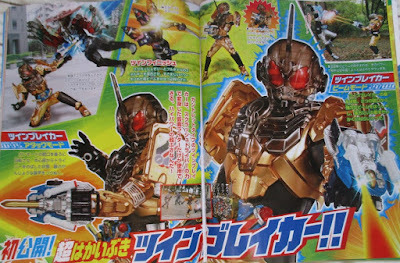 build may be the best kamen rider yet for me!